Shah Rukh Khan turns 53 today. For a star as ruthlessly ambitious as he can be, there’s no greater satisfaction than to have a working birthday. King Khan will spend the day peddling a new film, Zero — his much-awaited turn as a dwarf that’s worked social media into a frenzy. At some point, the star is expected to climb up the terrace of his palatial sea-facing Bandra home, as is the norm, to greet thousands of cheering fans. Later in the evening, there’s talk of a mega bash for fellow Bollywoodians. But it’s Zero that’s the trending point of today. Early Twitter buzz seems to hold out a promise that the fallen star will climb back to numero uno status with a film ironically named Zero. Seldom in the recent past has Shah Rukh Khan himself been so excited about a new film. Most of his projects, if you will notice, are produced under wife Gauri Khan’s name, a proxy for expensive home productions. Raees, Jab Harry Met Sejal and Dear Zindagi all bear Gauri Khan’s name on the producer’s credit and yet, Khan — a consummate public jester, especially when it comes to movie promotions — didn’t seem to be walking the extra mile for any of these films. Why does it look like with Aanand L. Rai-directed Zero Khan is not just putting the full force of his lean weight behind but also seems confident at scoring it big this time? Mind you, his numbers are big by any measure but so far, King Khan has been a notable absentee at the Rs 300-upwards crore box-office that is a new shorthand for star wattage (even the much younger Ranbir Kapoor has one, in Sanju). 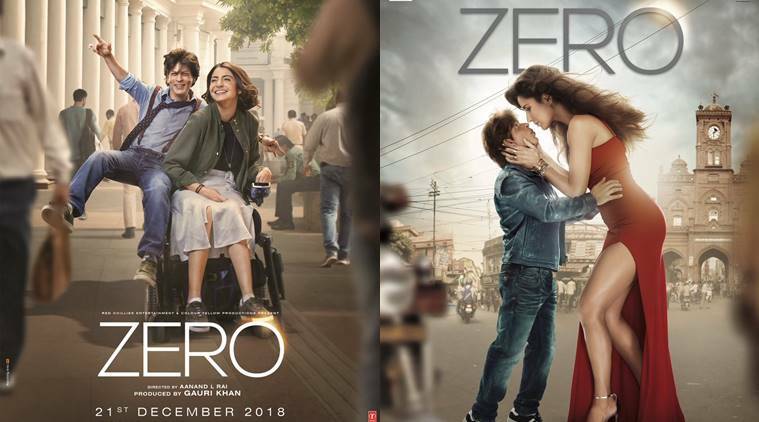 Terribly ambitious and ferociously kept under wraps, Zero is not such a new territory for SRK as we might think it is. Except the bits of dialogue and posters that he released yesterday, the only detail anyone knows is that Khan, who has launched hundreds of romantic fantasies as a lover-boy, has been washed off all the glamour to become a dwarf in Zero. Here’s a fun fact: Kamal Haasan played one memorably, way back in Apoorva Sagodharargal in 1989. Hindi audiences know it better as Appu Raja. That this film is an experiment or a gamble for Khan doesn’t hold water, for this is one superstar whose recent characters run the whole gamut. Yes, Zero’s SRK is an anomaly. He’s not the exalted lover who can make impossible things come alive with the mere glint in his eye, dimpled smile, street boy wisecracking or the signature open arm pose. It works every single time for the star.